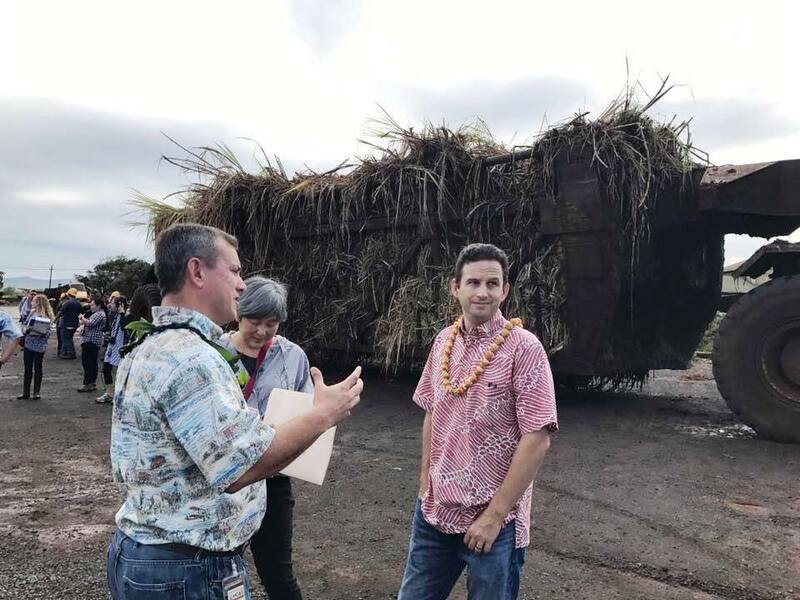 The 36,000-acre Hawaiian Commercial & Sugar Co. plantation in Puunene on Maui held its last harvest Monday with hundreds of former and current workers, families, public officials and community leaders in attendance, and the head of Hawaii’s last major sugar plantation may have summed up the day best when he quoted a Hawaiian poet by saying, “it is what it is.” Pacific Business News. It started with two horn beeps delivered by Fermin Domingo from the cab of an 80-ton Tournahauler on Monday morning, and then the final load of sugar cane that likely will ever be produced on a plantation in Hawaii was fed into the mill of Hawaiian Commercial & Sugar Co. Star-Advertiser. 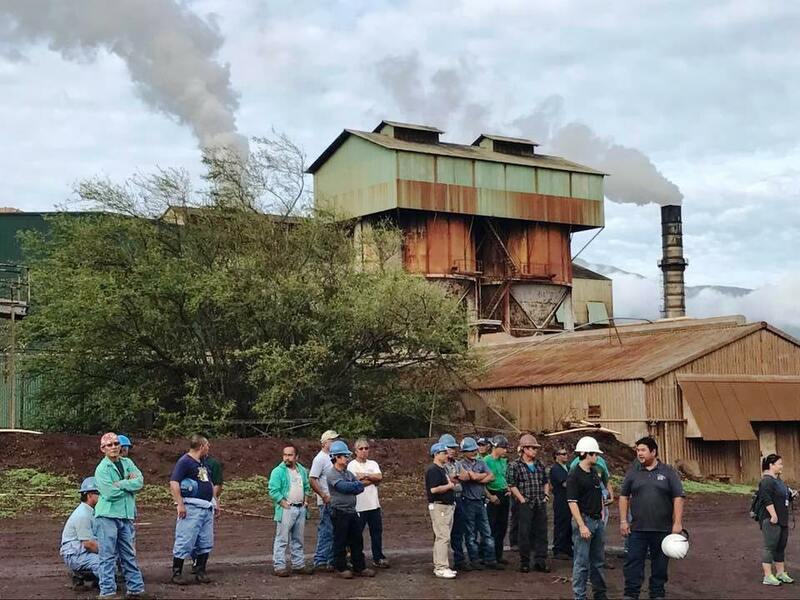 Sugar workers, retirees and company officials expressed sadness as well as pride as they witnessed “an end of an era” Monday with the delivery of the last load of sugar cane from the fields to the Puunene Mill. Maui News. Workers delivered the final truckload of cane to the state's last remaining sugar mill on Monday. 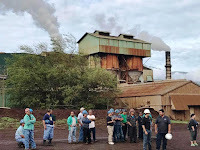 Hawaiian Commercial & Sugar Company held a commemoration event at its Puunene factory with an estimated 700 employees, retirees and community leaders. Hawaii News Now. The only remaining sugar mill in Hawaii is ending its final harvest. Associated Press. Hawaiian Commercial & Sugar Company commemorates its final sugar harvest today (Monday, Dec. 12, 2016) following months of transition work. Maui Now. Hawai’i’s last sugarcane harvest ended on Maui today and state leaders are asking, “What Next?” That was the focus of a panel discussion. Hawaii Public Radio. Hawaii Commercial & Sugar held a ceremony Monday for its final harvest. HC&S is the last sugar plantation in Hawaii. KITV. It’s the end of an era for Hawaii’s sugar industry, as the final sugar harvest in our state took place Monday morning in Puunene on Maui. KHON2. Gov. David Ige has pledged to propose $10 million of the state budget be used to help build the innovation sector. Ige said he would request the funds be used for the state-run HI Growth Initiative, which was created to attract private investment to innovation in Hawaii. Star-Advertiser. State and county employers likely will have to contribute more money into the Hawaii Employees’ Retirement System as early as July 1. Star-Advertiser. Gov. David Ige has appointed two state employees as the new deputy directors for the state Department of Budget and Finance and the Department of Human Resources Development. Star-Advertiser. Hawaiian Electric Co. said Monday it is looking for land to build more renewable-energy projects. Star-Advertiser. Hawaiian Electric Co. is looking to expand its renewable energy portfolio with more large-scale projects, the Honolulu-based utility said this week. Pacific Business News. Hawaiian Electric Companies announced a search for land to house potential renewable energy production. The request for information comes from Hawaiian Electric, Maui Electric Company and the Hawaii Electric Light Co. Tribune-Herald. Tulsi Gabbard For President? A reporter for The New Yorker suggests 13 women candidates for 2020. Civil Beat. Caldwell Outspent Djou Nearly 4-to-1 In Honolulu Mayor’s Race. The mayor raised $3.6 million, and a super PAC kicked in nearly $1 million more to support his re-election bid. Civil Beat. The ZipMobile broke down for at least the third time in as many years Monday, snarling the early- morning town-bound traffic on the H-1 freeway. Star-Advertiser. The state is planning to evict homeless campers from more than 40 tent and tarp encampments on the slopes of the Diamond Head State Monument. Civil Beat. Beach erosion reveals scattered bones at Mokuleia. Hawaii News Now. Judge denies early release for firefighter in H-1 crash that killed officer. Star-Advertiser. The Hawaii Supreme Court on Monday issued an opinion that took issue with the way a state judge sealed documents in a criminal case, with the justices underscoring the need to protect confidential information while ensuring the public’s right to access judicial proceedings and records. Star-Advertiser. A site-specific Environmental Radiation Monitoring Plan has been finalized for the Pohakuloa Training Area. Big Island Video News. Nonexplosive but designed to fool passers-by is how police described a suspicious device that caused businesses to close and traffic rerouted Friday in downtown Kailua-Kona. West Hawaii Today. The Maui Department of Water Supply is working to resolve pumping issues in Wakiu, Hāna. Maui Now. Hawai‘i’s Board of Land and Natural Resources approved a one-year permit to Alexander and Baldwin that will allow them to continue diverting water from streams in East Maui. Hawaii Public Radio. The 36,000-acre Hawaiian Commercial and Sugar Co. plantation on Maui, which will close on Dec. 23 and effectively end the era of the sugar industry in Hawaii, will soon begin to see a major expansion of cattle ranching on the former cane fields, a company executive told Pacific Business News. Maui County single-family homes continued their climb in value in November, while condominium prices fell compared with the same month last year, according to statistics released last week by the Realtors Association of Maui. Maui News. Island School’s proposal to reclassify land took a big step forward as the school submitted its petition to the State Land Use Commission. Garden Island. Larry Richardson hopes the loaner life jacket station will save lives Saturday at the Nawiliwili Small Boat Harbor launch ramp. Garden Island. With the ferry no longer operating, a U.S. Coast Guard crew helped the Salvation Army deliver 800 toys and clothes to Molokai children on Friday. Maui News.